In version 9 of our software we have introduced a new solution that allows our customers to create mobile-centric digital editions on top of the standard digital editions our software generates. These new mobile-centric digital editions are 5 times faster than the mobile editions that were generated with version 8 and they far surpass any other mobile solution on the market. Why did we do this ? Your audience is mobile first. 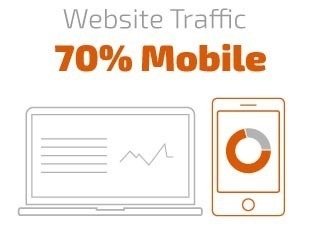 70% of today’s web traffic is mobile and 30% desktop. We needed to change the way we looked at converting the digital editions because with today’s audience it is now more critical that the experience on mobile matches, even surpasses that of your desktop audience. Due to the limitations of mobiles over desktops we needed to think of a radically new way of delivering your content to mobile readers. 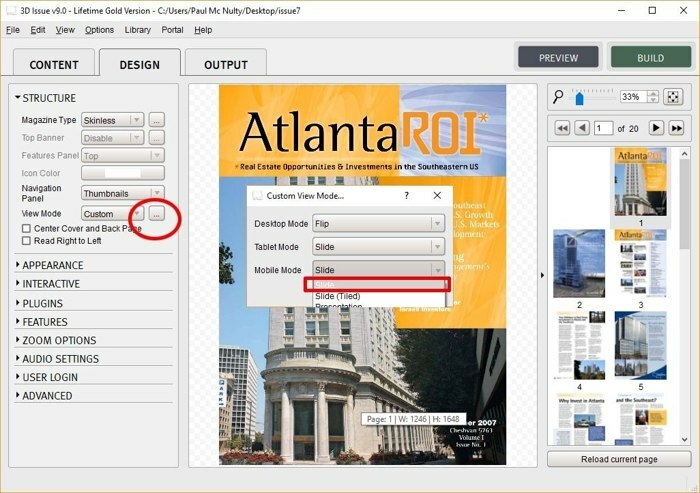 Our version 9 solution now creates 2 versions of each publication. One for desktop and one for mobile audiences. For mobile editions, we developed and integrated a new type of conversion process called ‘Tiled Rendering’ which guarantees that pages will load instantaneously on mobile devices with perfect quality and minimal impact on the mobile browser’s capacity when compared with desktop editions. So much so, that the mobile editions actually load a lot faster than desktop editions. The reason for this is that due to the small displays on tablet and mobile, ‘tiled rendering’ allows us to only import the part of the page that is currently needed to fit that display and it then loads the rest, instantaneously, when required. Tiled rendering is the process of converting a large image into a variety of different resolutions and sizes, then subdividing each of those images into a grid and rendering each section of the grid, or tile, separately. The primary advantage of using this type of rendering is that it minimizes the amount of memory and bandwidth that is used in comparison to downloading the full image. 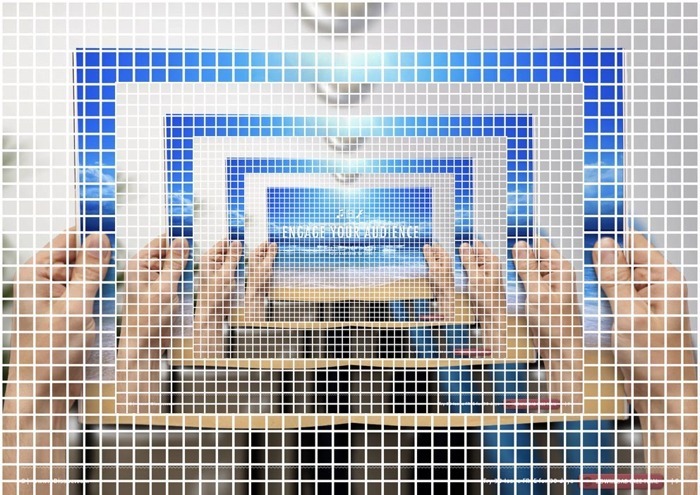 Tiled rendering systems greatly improve the delivery of high quality image experience on lower powered devices with more limited memory and bandwidth such as mobile devices. On desktops connected with wired connectivity downloading full images can be fast so the need for tiled rendering isn’t essential. On hand held devices such as tablets and mobiles a readers experience is dependent on the wireless connection, memory of the mobile browsers which is always limited, and the allocated processing power of the mobile browsers. These are huge obstacles to creating a comparable experience on mobile to that of your desktop audience. Tile rendering removes these obstacles by radically reducing the load that is put on a readers mobile device. One of the shortcomings of digital magazines to date is that desktop readers and mobile readers have all used the same files. So mobile readers would have to download the same large files that a desktop reader would. Due to the limited browser capacities, memory allocations and processing power of mobiles, those users were guaranteed to have an inferior experience to their desktop counterparts. Large publications would often freeze on mobile because the device’s browser has reached its allocated storage capacity. Tiled rendering eliminates this experience gap between the mobile and desktop reader. In fact it leads to a better experience on mobile. 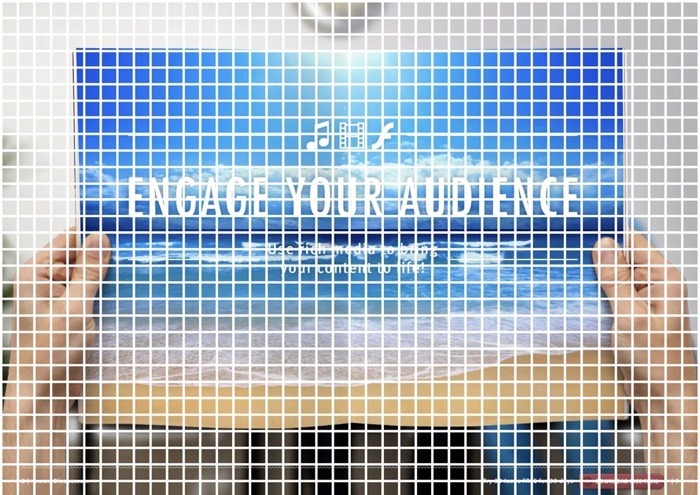 The reason for this is that with tiled rendering, your digital magazine only loads the tiles it needs when it needs it and these tile files are tiny which makes the rendering of the image instantaneous. Compared to the previous experience, this new tiled rendering system has lead to a 5 fold increase in loading time and image rendering, giving your audience a greatly enhanced experience when reading your publications on mobile devices. The downside to tiled rendering is that it greatly increases the number of files that are created and uploaded with each publication. For each page/image of a publication, the software will break that page into hundreds of tiny tiled images. Although these files are very very small, you are now uploading two publications for each issue that you create. This will double the amount of time that it takes to upload a publication. There’s no way to avoid this if you want to offer a better experience on mobile. To make it easier, for this release we have overhauled the way that we convert and upload publications. Previously you would have to wait until a publication has converted and uploaded before been able to do anything else. In version 9, we have moved the conversion and uploading of the publication to a separate application so you no longer have to wait for each issue to finish converting and uploading before continuing with other projects. Now you publish and then move on to other projects while your project converts and uploads in the background. Upload time inconvenience vs enhanced user experience? I believe that to achieve the maximum value from your digital editions, the experience of your mobile audience is paramount and must outweigh the inconvenience of the additional uploading time. When compared with other digital magazine solutions on the market, our mobile editions are second to none. The speed and flow that your readers experience with our digital solution far surpasses anything else on the market. Perhaps you don’t need a mobile edition? That been said, not every digital publication is designed for a mobile audience. In some cases it may be preferred to not output this extra mobile-centric digital edition. For that reason we have provided an option that allows you to switch off this feature.